Pete the Panstick® is a sophisticated, bilingual (Spanish and English) animated character created by Camille Selvon Abrahams for Sanch Electronix. 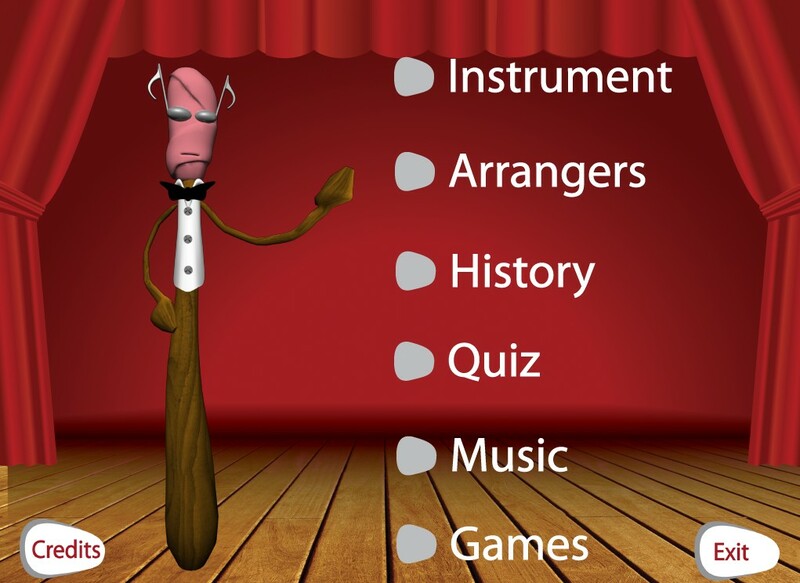 His role is to help beginners comprehend and remember basic musical, English and ICT concepts in an interactive way. Pete has been trained to dance, talk, clap his hands and play the Steelpan. Imagine the joy of liming with Pete for hours on end in an atmosphere that is simultaneously filled with fun and learning. Travel with Pete as he navigates through his software in an orderly manner, chapter by chapter. First, there is an introduction to the Steelpan, via an illustrated layout of its notes as Pete narrates the range of its compass. He then plays favourite Rhymes and Folk Songs before undertaking an assessment with a specially designed Quiz, followed by Games. These chapters will ensure that beginners discover and experience more about this revolutionary instrument and its history. Next, Pete presents the world of Virtuoso Pan Musicians and plays some of their famous ‘Panorama’ Arrangements. Three short films illustrate how the instrument is made and trace its evolution. Finally, it’s time for recess. And what better way for relaxation than by listening to seven different genres of Steelpan music and perusing some colourful, informative posters with Pete before he returns to his intriguing world of animation. Pete the Panstick® is a must-have interactive educational software package for beginners. The product will help them to become an inevitable part of the ongoing global technological revolution. It is a logical introduction to the innovative Pan in Education catalogue of products developed by Sanch, geared towards building future knowledge-based societies.